Silence filled the theatre immediately following the screening of this film, but after a time of reflection, it left viewers anything but silent. Martin Scorsese's film Silence, is layered with so many possible metaphors to explore, it will have you talking for days. Set in the 17th century, and based on Shusaku Endo's novel of the same name, the story begins at St. Paul's College, Macau where news reaches Jesuit priest, Alessandro Valignano, that highly respected Portuguese priest and mentor, Father Cristovao Ferreira (Liam Neeson), has been tortured for his faith while conducting mission work in Japan. It is also shockingly reported that Father Ferreira has denied his faith. Here the film poses the question: what would drive someone so respected, so wise and spiritually strong, to deny his faith in God? In disbelief and with a desire to find answers, Ferreira's pupils, Father Sebastiao Rodrigues (Andrew Garfield) and Father Francisco Garupe (Adam Driver), believe it is God's will to travel to Japan to find Ferreira. Aware of the dangers, they leave the comfort of their diocese to sail to Japan. On their arrival, Rodrigues and Garupe are shocked to discover the depleted state of the Japanese Christians who have been driven underground in order to escape the horrendous slaughter that had already taken the lives of 300 000 Christians across their country. Overwhelmed by the love and strong faith of these Christians-in-hiding—despite their suffering—Rodrigues feels unworthy to be their priest, but the people are so hungry for spiritual leadership that they are willing to suffer to protect the priests, not only giving up the little food they have, but also their lives. On their journey to find Father Ferreira, Rodrigues and Garupe are separated and their faith takes on a new challenge. They witness many terrible atrocities against Japan's Christians who are inspirational in their unwavering love for God, knowing what eternity holds for them despite the immediate cost. As the priests discover the circumstances that lead to Ferreira denying his faith, they are confronted with the tactic of the Inquisitor (a Japanese official) to strip priests of their faith forcing them to apostatise, rather than allow them to become martyrs. This is in order to undermine and destroy Christianity. These officials deploy methods of torturing Japanese Christians until they either died or until the priests recanted. Very soon the priests are faced with similar psychological torture that befell Father Ferreira and while one remains true to his faith at the cost of others as well as himself, the other is faced with a moral dilemma that may cause the suffering of his soul for the rest of his days. This movie presents a contrast between faithfulness and conflict. 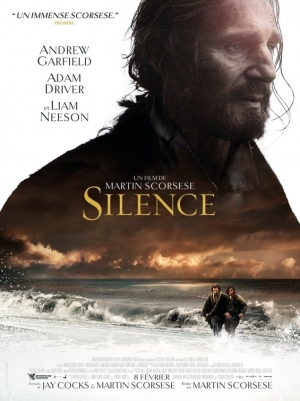 With cultural, political and religious themes, Silence is not a feel-good movie that leaves you with resolution for entertainment's sake, nor is it a movie for the faint of heart. The collateral benefit of this movie instead, lies in the way that it is open-ended—drawing out conversation on very deep levels. You will get the most out of this film seeing it with others and discussing their perspectives. "This story is one that needs to be told but is harrowing and difficult to watch. The strength of the Christians as they were mercilessly persecuted is inspiring, and a timely reminder of what is still taking place today in many parts of the world." "It is not an easy movie to watch, but the themes raised, challenge you to think deeply about your faith; suffering for the gospel; the suffering of others and the challenge of proclaiming the gospel in a culture that is strongly opposed to it." This movie, in all its cinematic glory and artistic filming, lingers long after the final credits with a concoction of mixed emotions and fuel for conversation and may even leave you pondering—"what would I do?" Rebecca and her husband, have four children and live on the Sunshine Coast, Australia. 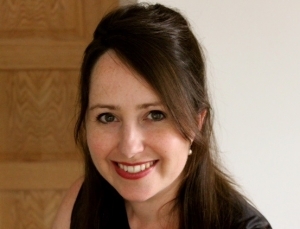 Rebecca writes for various publications including print, online and commercial. She has recently published her first book titled 'First to Forty' which is available on Amazon and Kindle.